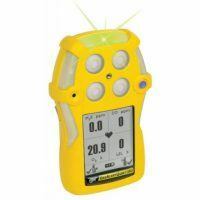 Whether for your home, garage, personal warehouse or for small and large businesses, a combustible gas detector is essential to ensure the safety of staff and families. Fuel gases such as natural gas, methane (CH4), or hydrogen (H) in the air can cause asphyxiation, explosions, and even death. Detekta Solutions offers reliable and easy to use combustible gas detectors for many applications and various sectors. Simply contact us and we offer an exceptional service throughout the installation and maintenance needs.